poster downloadHere you can download posters. 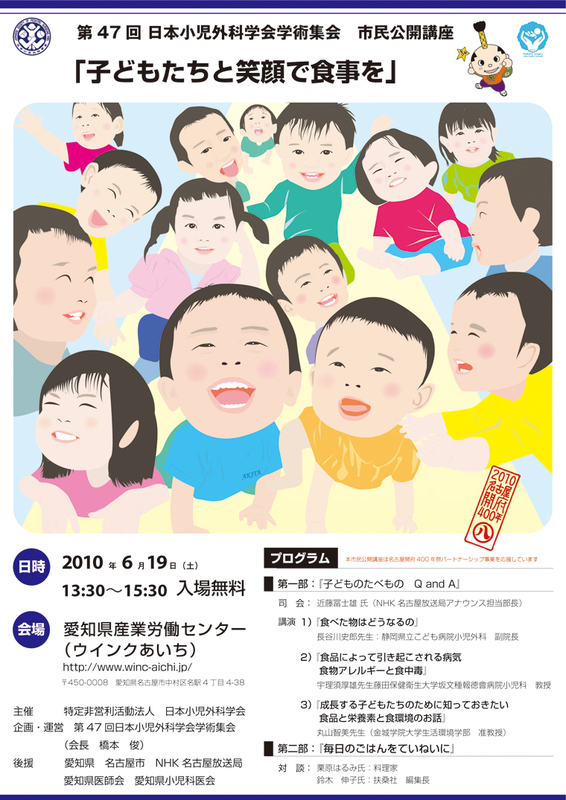 2010.05.24 「Information for participants」 has been updated. 2010.05.13 「Travel Grant」 has been updated. 2010.04.30 「Scientific Program」 has been updated. 2010.03.29 「Links」 has been updated. 2010.01.29 Abstract submission has been closed. 2010.01.22 Deadline for abstract submission has been extended. 2010.01.13 「Call for Abstracts」 has been updated. 2009.11.06 「PSI (Japanese Issue),2010」 has been updated. 2009.10.22 「Message」 has been updated. 2009.10.22 「English Page 」 has been updated. 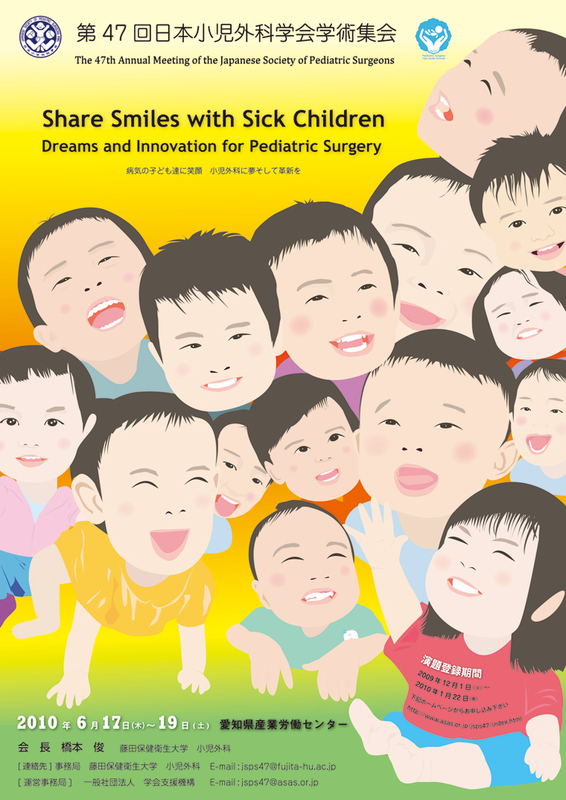 Copyright © The 47th Annual Meeting of the Japanese Society of Pediatric Surgeons.